Home / News and Archive / Water Policy / The Future Of Water Charges ? This note sets out the current position in relation to water charges. It also looks at the system of paying for water services in Northern Ireland. Customer revenue reduced from €42.3 to €33.4m from Bill Cycle 3 (30 September, 2015) to Bill Cycle 4 (31 December, 2015). It is clear that the uncertainty over the future of water charges has reduced compliance. The Fine Gael – Fianna Fáil Agreement on Water Services sets out the position concerning the suspension of water charges. Curiously there is no mention of water charges in the Programme for a New Partnership Government. 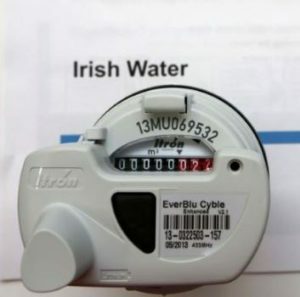 The suspension of domestic water charges will be extended by the Government if this is required and requested by the Special Oireachtas committee on the Funding of Domestic Water Services in order to facilitate the completion of its work and the consideration of its recommendations by the Oireachtas. The Commission will be empowered to commission relevant research and hear evidence to assist this work. The Commission shall endeavour to complete its work within five months. One of the options which the Expert Commission is likely to consider is the system of water charges in Northern Ireland. Consumers pay an average of £160 per year (€205) towards water through the regional rate component. The average rates charge was £825 in 2014/15 (approx. €1,056). The government-owned company Northern Ireland Water (NI Water) is responsible for the supply of water services. The NI Department of Regional Development paid NI Water £280 million in 2014/15 to cover the cost of providing water services to domestic customers. For 2016/17 regional rates were increased by 1.7% in in line with inflation. One of the advantages of the Northern Ireland system if introduced here would be that it would significantly improve compliance. Payment for water would be integrated with the local property tax which is collected by the Revenue Commissioners who achieve compliance rates of 97 %. A disadvantage is that payment would no longer vary with use thereby losing any incentive to conserve what is a valuable resource.